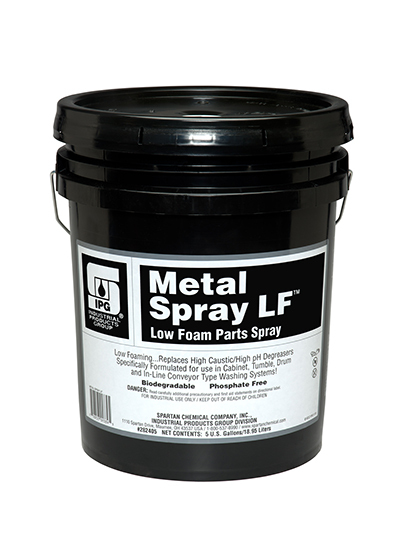 Near neutral pH, solvent free, low foaming compound designed for high pressure, high temperature spray washing systems. Unique surfactant produces the low foaming characteristic which is required in high pressure applications. Use for cabinet, tumble drum and in-line conveyor type spray washing systems. Replaces high caustic, high pH degreasers. Environmentally safe. Biodegradable. Phosphate free. User friendly. Contains no substance known to be toxic or highly hazardous to individuals or the environment.